Earlier this month, CMA CGM and its parent company Merit Corporation announced the disposal of its former cruise arm, Compagnie du Ponant, to London-based private equity firm Bridgepoint Capital, well-known in the UK for its investment in the Prêt a Manger quality sandwich shops. With three new 10,944-ton 264-berth ships and its original 1,489-ton 60-berth Le Ponant, the sale by the indebted CMA CGM will hopefully free up Compagnie du Ponant to expand its operation further. Meanwhile, still on the small-ship side of things, Finnish-based newcomer Premier Cruises will re-introduce the 2,549-ton Andrea into service next April as the 96-berth Serenissima. We also have a look at a very interesting and enlightening cruise ship review of Oceania’s Marina by Frenchman Jacques Letard in the latest issue of Sea Lines, quarterly journal of the Ocean Liner Society. Finally, Viking Ocean have announced slight changes to their latest order for two new medium size upmarket cruise ships. Earlier this month, it was announced that London-based private equity group Bridgepoint Capital Ltd would be acquiring Compagnie du Ponant from CMA CGM, the world’s third largest container line, and its parent company, Merit Corporation. Bridgepoint is a major shareholder in the UK-based Prêt a Manger sandwich shops and fashion chain Fat Face as well as Leeds Bradford International Airport. It also has an office in Paris and investments in a number of businesses in France, including opticians Alain Afflelou, jewellers Histoire d’Or and residential property managers Foncia. Previous to a management buyout twelve years ago, Bridgepoint was known as Natwest Equity Partners. The agreement will offer Compagnie du Ponant the resources it needs to fulfill its ambitions, maintain growth and take its international expansion to a new level. The parties have agreed to finalise the transaction by the end of next month. Last October, CMA CGM transferred 50% of its holding in Compagnie du Ponant to Beirut-based Merit Corporation, which also owns 80% of CMA CGM. Both CMA CGM, which continued to hold 40% of the shares, and Merit were named in the official news release. Bucéphale Finance acted as financial adviser to Bridgepoint. Formed in 1988, Compagnie du Ponant was acquired by CMA CGM in 2004 and today operates four luxury ships under the French flag. In addition to its original ship, the 60-berth Le Ponant, two 264-berth newbuildings, Le Boréal and L’Austral, were completed by Fincantieri’s Ancona shipyard in 2010 and 2011, and a third, Le Soléal, will follow in 2013. 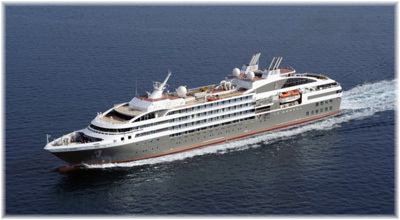 While taking delivery of its newbuildings, the line has also sold two ships, with the 180-berth Le Diamant going to associates of International Shipping Partners in Miami, who have chartered her to Quark Expeditions as Ocean Diamond, and the 90-berth Le Levant going to Paul Gauguin Cruises as Tere Moana, for operation in the Mediterranean and Caribbean. The only French owner of cruise ships, Compagnie du Ponant operates in the upmarket end of the industry. While its small luxury ships sail worldwide, its newer ice-strengthened ships concentrate particularly in the Arctic and the Antarctic, giving the company a reputation as a polar specialist. As well as operating for its own account and chartering a ship to Abercrombie & Kent in the Antarctic, the line’s first Northwest Passage transit, scheduled to leave Kangerlussuaq, Greenland, for Anadyr, Russia, in August 2013, is already sold out. The line employs 580 staff, of whom 500 serve at sea. It carried 20 000 passengers in 2011, and had a turnover of €80 million. A new operator called Premier Cruises, based in Mariehamn, Finland, has recently acquired Elegant Cruises’ former Andrea, a well-loved ship in both the Adriatic and the Antarctic. Russian entrepreneur Vladimir Esakov, who has operated the 109-berth river cruise ship Volga Dream on the waterways of Russia for the past five years, is the backing behind the new line, which is run by experienced Norwegian cruise executive Christer Morn, who at one time headed up Sea Cloud Cruises in Hamburg. 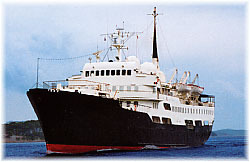 Trading as the 1960-built traditional Hurtigruten ship Harald Jarl until 2002, the former Norwegian ship was then operated by Elegant Cruises as the Andrea between 2002 and 2009. 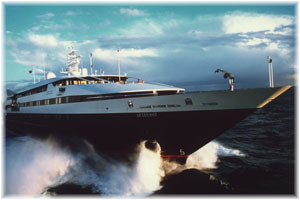 Now scheduled to re-enter service in April 2013 under the name of Serenissima, she will carry only 96 passengers. 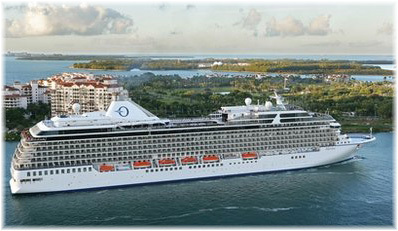 Her inaugural 2013 season will see her offering cruises in the Mediterranean, Black Sea, British Isles and Norway. 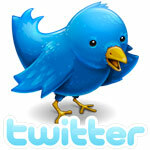 Charterers and wholesale tour operators will play a large role in her marketing. Between May 4 and July 15, for example, she will perform seven cruises on charter to London-based Noble Caledonia, who already operate their own Caledonian Sky and Island Sky. The Serenissima will leave Poole at the beginning of her Noble Caledonia charter on May 11, 2013, for a 10-night cruise under the name “Great Gardens and Houses of Britain and Ireland,” for Falmouth, the Isles of Scilly, Waterford and Dublin then on up to Scotland for several coastal and island calls before docking at Oban. This will be followed by two 7-night cruises round trip from Oban plus a 10-night cruise from Oban to Aberdeen in May and two 11-night cruise in June back to her old stomping grounds in the Norwegian Fjords, the first from Aberdeen to Tromso the second back from Tromso to Aberdeen. A 9-night cruise will then follow in July from Aberdeen down the Atlantic Coast of Ireland to Falmouth. The Serenissima is currently in Split, Croatia, undergoing refit in preparation for her new role. 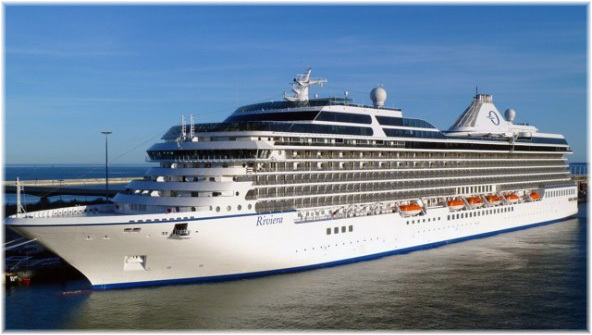 In reading a recent review of Oceania Cruises’ Marina, a ship that was delivered only last year, I was impressed by some of the things the author, Jacques Letard, had to say about her on his July 2011 Round Britain cruise. His review appeared in the Summer 2012 issue of “Sea Lines,” the quarterly journal of the Ocean Liner Society. These two sentences say a lot about the state of the cruise industry today and how much time some of us have to spend trying not to be annoyed. If this is true, then Oceania seem to have found something that will bring more people back again and again. Pretty good praise from a Frenchman indeed. Another accolade for Oceania. And on the question of the $14 glasses of wine that we sometimes hear about, M Letard had this to say: “Alcoholic drinks were not as pricey as I had expected with this upmarket cruise line, even if the service charge was a staggering 18%. There were ‘happy hours’ (two cocktails for the price of one) and cocktails of the day were reasonably priced (half price in fact). All non-alcoholic beverages were complimentary.” Okay, not all-inclusive, but this does not sound that bad. Lovers of the bigger Holland America ships, with their walkaround promenade decks, will not approve. And this: “The excursions sold on board were extremely expensive, but as I prefer to visit independently or to take private tours, this was not a problem.” Many of us of course feel the same about this subject. While the Riviera apparently incorporates some improvements over the Marina, particularly in the area of deck heights in some of the public areas, I think this says everything we need to know. Readers wishing to read the full review can do so joining the Liner Society.Membership is £20 in the UK, £23 in Europe and £25 in the rest of the world for a subscription to their 48-page quarterly journal, Sea Lines. Further details can be found at www.ocean-liner-society.com. Last December, we brought you the news that Viking Ocean Cruises, the ocean-going arm of Viking River Cruises, had signed an agreement with STX France for two 41,000-ton 888-berth ships for delivery in the spring of 2014 and spring of 2015, with an option for a third. News then followed however that negotiations had come to an end, evidently as the subject finance could not be completed. Then in April came news that Viking Ocean had signed a new memorandum of understanding with Italy’s Fincantieri for two slightly larger 45,000-ton 998-berth ships, with option for a third, for delivery in late 2014 and late 2015. Fincantieri has just delivered the latest Oceania ships Marina, reviewed above, and Riviera, which while larger 1,250-guest ships of 66,000 tons are in a similar upmarket bracket, as are the three much smaller newbuildings for Compagnie du Ponant. Last week, with the final announcement of the order, slight revisions were made in the specifications, with the two ships now to be delivered a few months later, in early 2015 and early 2016, still with an option for a third. The ships will each now measure slightly more, at 47,000 tons, and will carry slightly fewer passengers, at 944 in double occupancy. These slight changes bring the passenger space ratio up from 45 gross tons per passenger to very close to 50, or about 5,000 cu ft per guest, a little more than the volume taken up by a London double-decker bus. The key component in closing the deal for Fincantieri was the finance, an area where shipyards can often be instrumental, with the money coming from the Italian government-sponsored Export Banca, an institution that was created to support Italian exports.